Besides having great relationships with our partners, contractors and free-lance resources, we have a dedicated team of account managers, team leaders, front end developers, back end developers, and designers that form the core of our business allowing you to receive the best service possible. In order for us to be able to develop your solutions, it is important for you to have a team that you can count on. Each project will get assigned team members based on the project requirements. Below you can see the profiles of some of the most trusted members and developers of our 25+ team. 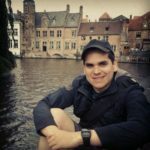 Juan is a Systems Engineer that is MCSA and Network+ certified with a strong programming background in primarily Microsoft technologies for windows, mobile and web applications. He started out programming applications for windows and mobile devices in .NET and Delphi to then get involved in several web development projects. He gained a lot of experience in developing solutions for the online vacation rental industry and applied this to other projects for different industries and applications. Besides being a senior .NET developer, he is also knowledgeable with Windows Server management and administration. Using his experience and his network of contacts and friends he created a team of trustworthy team leaders, developers and designers that formed into NearSource, Inc. His team has evolved over the years expanding their skill sets as clients demands have grown and changed. He acted as lead developer for many projects when NearSource started out while and as the team grew he adapted different methodologies for both leadership and development. Even though his primary role is as CEO and head of sales, he is very involved with how NearSource operates and delivers solutions for clients. 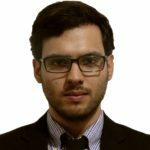 He makes sure that the team is adapting the more appropiate development methodologies and solutions for each project while continuously training the different roles in the team. His latest initiative was to conver the entire team to adapt a version of Scrum methodology which has brought positive results in both development times and better communication with clients. 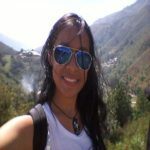 Alicia is a Systems Engineer with a professional background in Programming, Project Management and Business Operations. 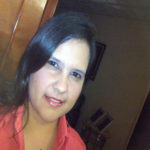 She is a Certified Business Professional (CBP) in Project Management obtained at BorderCom International. She has experience in both desktop and web applications, with skills in HTML/CSS, C++/C++.NET using Microsoft Foundation Classes (MFC), SQL Server and other programming languages. Alicia has been key in assembling our current team of project managers, developers, designers and testers via a rigorous recruiting process that evaluates potential candidates and partners. She created the entire Human Resource Department which is very important for NearSource and the team as it handles everything from recruiting, employee evaluations, guidelines, employee bonuses and more. She has implemented several workflow processes currently in place at NearSource to make sure all steps of the project development cycle is being executed as successfully as possible, from project initiation, development and delivery to project invoicing. She is also instrumental in setting the standards and guidelines for all of our html/css development to be W3C compliant and Search Engine Optimization (SEO) friendly. On top of all this, she has a vital role in business development explaining potential clients what we do and guide them through the entire process. 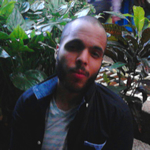 Geraima is a Computer Science Engineer with an extensive programming background in different programming languages in both Microsoft and Open Source technologies. Even though she has been developing web applications for only 2 years she has a very broad skill set and has been working with current technologies and standards. Her current role is as ASP.NET developer, and has been developing RESTful Web Services using Microsoft WCF (Windows Communication Foundation) for an enterprise SaaS system that is being developed in-house. In addition to her ASP.NET programming tasks, she is also proficient in programing SQL Stored Procedures for Data Import and Data Reporting modules. She is also well versed in PHP programming using popular MVC frameworks such as CakePHP and YII, and does a lot of jQuery programming and HTML/CSS markup. 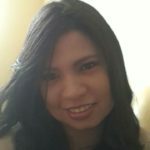 She has worked on Open Source CMS (Content Management System) sites using Joomla and Drupal and has customized and developed modules for these systems. 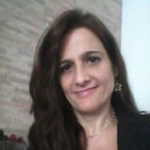 Rita is a Systems Engineer with a master’s degree in IT Management. 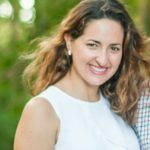 She has been acting as an IT team leader or project manager for more than 10 years in different industries and projects ranging from news & media, human resources, government to IT application development companies like IBM and others. She is experienced with different management and software development methodologies such as PMI PMBOK and Rational Unified Process (RUP) in addition to handling customer support, issue/bug resolution, quality assurance, change request management, documentation and day to day team managemente. Her background is not limited to management only, she has knowledge in programming in Microsoft technologies like Visual Basic, C#, ASP.NET and SQL Server. She is currently in charge of implementation and support for an Incentives Platform for one of NearSource’s partners while managing other web application development projects. 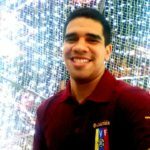 Juan is a CCNA certified Systems Engineer with a Masters in Operations Research and has extensive experience in project management and consulting. He has 11+ years of experience in banking, logistics and insurance projects. He started out as a Microsoft oriented developer in Visual Basic and .NET with SQL Server for desktop applications, windows services and web applications. He has ample experience in system architecture and design, working directly with clients, excelling in expectation management with co-workers, superiors and end-clients. He has worked with and coordinated multi-platform and multi-language teams making sure each project is completed successfully. He has settled into a hands on project management role using different methodologies from Gantt, PMBOK to Agile/Scrum depending on client requirements. He is responsible for leading teams from project kick-off to development and testing to project completion and deployment. 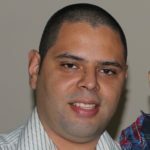 Juan is a senior programmer with 10+ years of experience in C# programming. He is equally familiar with web forms and MVC oriented programming for both web and desktop applications and has been involved in all stages of a project starting from planning, design to development and deployment. He welcomes a challenge and is always willing to work on the hard problems until a solution is implemented. He has a wide range of skills in Microsoft technologies ranging from C#, Linq, Entity framework, Razor to Ajax, Web Services, API development, Lambda expressions and more. He has worked with XML and JSON when working with web services and is also familiar with Crystal Reports, Reporting Services, responsive web design and is always eager to learn more. He is also strong with SQL databases creating views, relationships, restrictions, functions and stored procedures. He is a well rounded developer that has been a key asset to the team in a variety of applications. 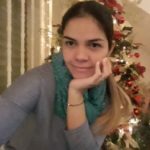 Lisette is a Computer Science Engineer with 4+ years of experience in web development from doing simple websites, facebook pages and apps to web applications written in a variety of programming frameworks. She primarily develops in PHP frameworks such as Cake PHP, CodeIgnitor and Symfony. She has experience in legacy web development tools like Flash, Fireworks in addition to using more up to date development frameworks like Bootstap and KendoUI. She has worked on a variety of web projects in different industries, from food delivery service, banking applications to solutions for the oil industry. 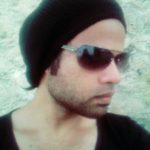 Joisamar is a computer science engineer with experience in both web development and android mobile development focused more on back-end development with some know-how in front end work. She has worked on several projects for more than 5 years in corporate and freelance projects. Her work experience ranges from several small apps in android such as learning apps, epub readers, social apps to web applications like sign language training and bookkeeping applications. In addition to Android Java she is also experienced in HTML/CSS, PHP, C, Prolog for programming applications and has worked with different PHP frameworks like CodeIgnitor, Yii and Laravel. She is always keeping up to date with self taught online courses. Yeniret is a computer engineer with a background in LAMP web development. 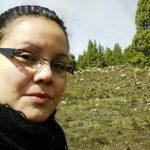 In the past she has worked on HTML/CSS and PHP/MySQL web projects. She currently is currently one of the application testers for public websites, web applications and mobile apps. She makes sure that all public websites meet project and client requirements and expectations, are cross browser compatible, responsive where applicable and that SEO best practices are met. For web applications, she tests each project requirement and sends feedback to the team. The tests are done in different levels, from presentation and functional to checking that databases are updated correctly (both mySQL and SQL Server environments). She is also in charge of testing the different mobile apps that is maintained and developed by the team, doing regression testing to make sure all functionalities and data synchronization processes are working as expected. She also does a lot of internal system documentation for team use. Jeni is a Systems Engineer with 7+ years of experience in software design, development and implementation. Her main technical skills are in web development using HTML/CSS and popular CMS systems such as Joomla, information system design in both Visual Studio and PHP, SQL database management and stored procedure programming among others. She is also experienced in front end web programming using jQuery and Qooxdoo. Even though she has acted as a project manager, she had been primarily focused in testing and quality assurance for both desktop and web applications. At NearSource is responsible for doing functional and user experience testing in both websites and web applications enforcing internal standards in HTML markup, SEO implementation, layout consistencies, UI experience and other tasks. She is a firm believer in teamwork and works well with her team members while giving excellent documentation and feedback to them. 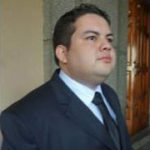 Pablo is a Computer Science Engineer with more than 7 years of experience in managing and providing IT solutions. His past work experience has been in several industries including government institutions and banking. Even though he is primarily a network and server administrator he has developed health system applications and banking interface solutions. He is experienced in Linux based server management using both command lines/console interface and web based control panels. He is also very comfortable with different hosting environments (Windows and Linux) and control panels, dedicated and virtual environments, security and firewall configuration and more. 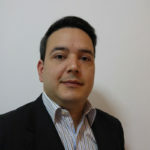 He performs several different roles, from server/hosting management, access control, email management to providing customer and team tech support in performing software updates, general troubleshooting, network troubleshooting, Active Directory management, firewall rule setup, backup configurations, data migrations and other related activities. In addition he manages different databases using MySQL, postgreSQL, MSSQL, Oracle. 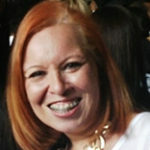 Haydee has an advanced technical degree in computer sciences and has ample experience in different administrative roles for technology companies. She has worked in customer service, documentation, data entry, reporting, time tracking, purchasing and more which allows her to be a jack of all trades that works well with managers and C-level positions. The combination of her technical training, administrative experience and people skills makes her a good fit to head the human resources department. She is actively managing all recruiting to make sure the team has all the resources needed to complete their projects while also making sure all personnel feel comfortable and trained to work following NearSource guidelines and standards. Much more than tech experts! Besides having great relationships with our partners, contractors and free-lance resources, we have a dedicated team of account managers, team leaders, front end developers, back end developers, and designers that from the core of our business allow us to give the best service possible to all of our clients.